PATERSON, N.J. (WABC) -- Three houses went up in flames in New Jersey Monday night and now some families are without homes. 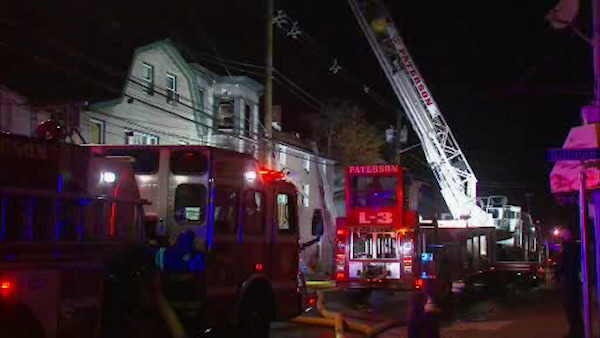 The fire started Monday evening in a vacant home in Paterson. The flames spread to two other adjacent homes, both occupied three-story houses. The other homes were damaged but not destroyed. Fire gutted the vacant home where the blaze started. There is no official cause of the fire just yet, fortunately no one was injured.